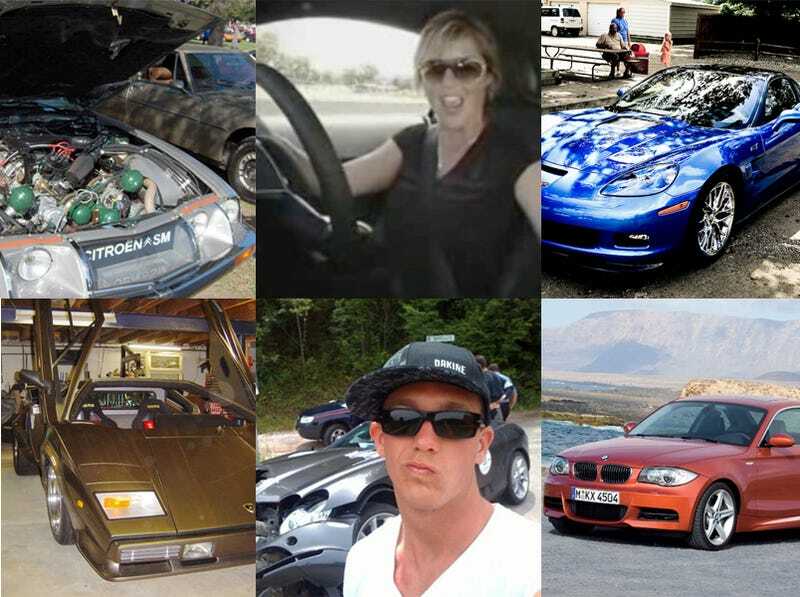 We're proud to host the best commenters in the automotiverse. Don't believe us? Read any of the comment threads from Jalopnik's ten most discussed stories from 2008 below. Yesterday we ran our list of the top automotive stories of 2008 and earlier we ran the most popular stories list. Now we get to move on to another favorite "year in review" list — the ten most discussed posts of 2008. These are the stories you, our readers, found so fascinating or controversial you couldn't stop talking about them. Are the stories you couldn't surf away from on this list? Let's hear what you have to say in the comments below. Additionally, as we tried to do with the earlier list, we've tried to divine what these stories say about the average Jalopnik reader at the bottom of the list. EXCLUSIVE: "I Am The Guy With A Lamborghini In The Basement"
Story: The idea of a man bringing to life his dream car, the Lamborghini Countach, is discussion-worthy in and of itself. But doing so in a sealed basement over the course of a decade and digging a hole to unearth the Lambo is something else all together. 9.) Who Can Do Better Than A 38K Honda Accord? Who Can Do Better Than A $38K Honda Accord? Win A Prize! The Story: For this Question Of The Day we wanted to know if our readers could drive the MSRP up on an optioned car higher than our $38,000 Honda Accord. The best results were listed in The Ten Most Outrageous Car MSRPs. You can't imagine what they want for a non-turbo Cayenne. Story: The El Camino is back. What more can we say? We'll forget the program may actually be canceled because, at the time, few cars on the horizon seemed as exciting to us (or you, apparently) as the Pontiac G8 ST.
Story: Danica Patrick, America's racing sweetheart, shows all those who though she was merely the Anna Kournikova of racing (i.e. more show than go) by becoming the first woman to win an IndyCar race. The Story: There's ugly and there's U-G-L-Y. They say Helen launched a thousand ships. These cars are so ugly they launched more than 300 comments. Story: When you hear of a vehicle with six wheels you probably think of a dually pickup truck or maybe a dump truck. In Italy, the dream of a six-wheeled sports car is one of the few exotic car fantasies still unrealized. What Is Your Region&apos;s DBag Ride Of Choice? Story: What do the douches in your area drive? Using the very scientific and representative "Jalopnik reader" meter we used this info to make the Official Jalopnik Map Of United States Vehicular Douchebaggery. 3.) What's Your Fastest Autobahn Run? What&apos;s Your Fastest "Autobahn" Run? Story: If you've ever been to a bar, posted on a forum or driven a car and then been in a room with other people you've probably gotten into the "how fast have you driven" discussion. People really like answering this question. Story: Spooky, scary cars were the topic of the hour on Halloween Eve and, as evidenced by the high commenter traffic, everyone had an opinion about what Darth Vader would truly drive. 1.) How Jalopnik Is Your Car? What happens when a few Jalopnik writers get together with a few beers? A complicated scoring system to help you determine the Jalopness of your ride. What's even crazier than the creation of the list itself is what followed: hundreds of responses. This was our most discussed item of the year by more than 150 comments. If there's a common thread in the most popular comment threads it's automotive knowledge, followed closely by a strong desire to share hilarious and absurd stories. These posts feature our commenters sharing some piece of obscure automotive knowledge, like the existence of a rare and spooky looking Chrysler, or retelling a strange experience, like getting a diesel Peugeot up to 120 mph downhill with a tailwind in rural Kentucky. Most of the comment threads above read like a weird and wonderful oral history, an organic artifact of our shared car culture. They may not be the most popular stories, but they sure make things more fun 'round these parts.